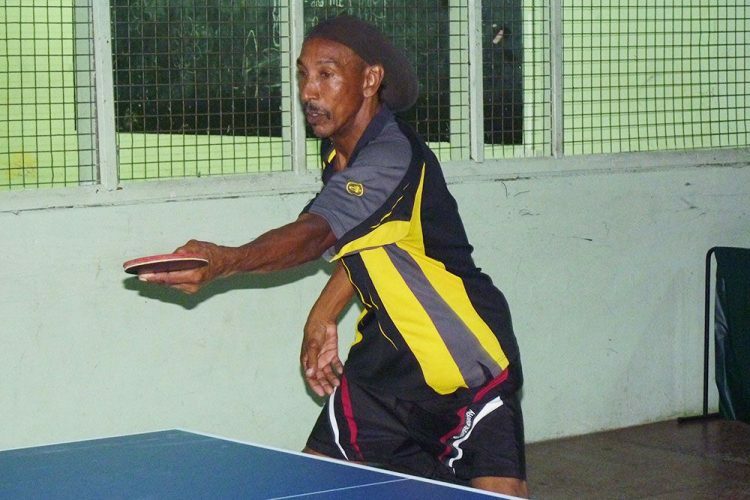 Robert “Bobâ Ballantyne is showing that age is just a number, as he claimed the first of four St Vincent and the Grenadines Table Tennis ranking tournaments for 2017, by bossing last Saturdayâs event, held at the West St George Secondary School. Ballantyne registered a 5/11, 11/8, 11/3, 9/11, 11/6 win over Carlton Daniel in the final, as he earned the maximum 30 points, thus retaining his number one spot, held over from 2016. Daniel improved his ranking to number four, beating Sean Stanley 11/9, 11/4, 14/12. Also defeating Stanley was Damion Dublin, who won 11/8, 11/5, 11/9. Dublin held on to his number two position behind Ballantyne. Meanwhile, Mikael Hazelwood proved to be the largest mover, as he finished the tournament in seventh position. In advancing to Saturdayâs main draw, Hazelwood, a protÃ©gÃ© of Ballantyne, pulped national junior and schoolsâ singles champion Andre Mitchell, as well as the duo of Giles Garraway and Tyrone Jack.